Most of the ethnics group in North Borneo uses the tree bark as their daily outwear in the past. 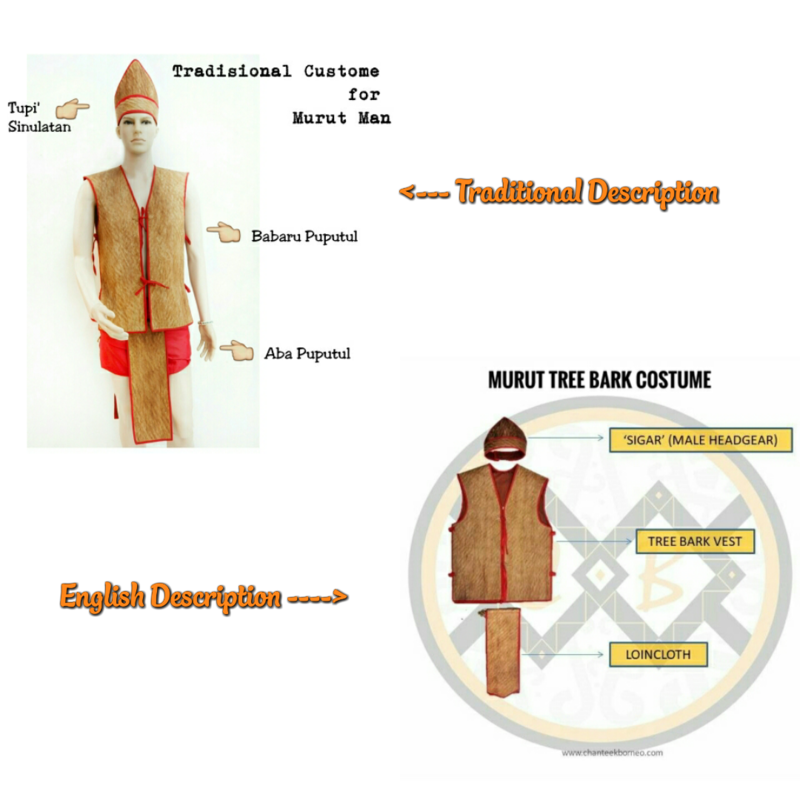 As time goes by with modernisation, the Murut people could be the only ethnic that still practising the tree bark as their traditional clothing for men. The Murut people can be found in the South West interior of Sabah specifically at Tenom, Keningau and Nabawan. 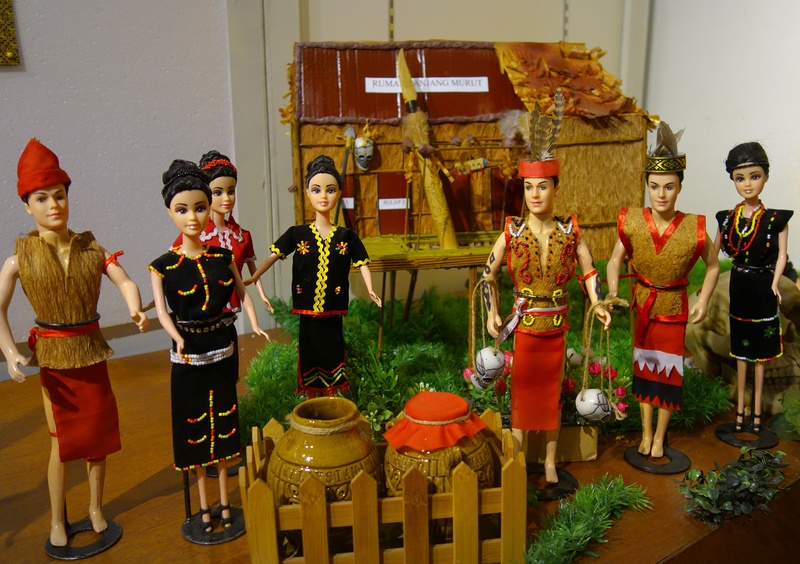 The costume for the Murut's women and men are very unique; the women are well known for their beads decoration on their cloth. While for the men, they use the tree bark as their main material for jacket, loincloth and headgear. The red colour lining in their costume symbolises their bravery. 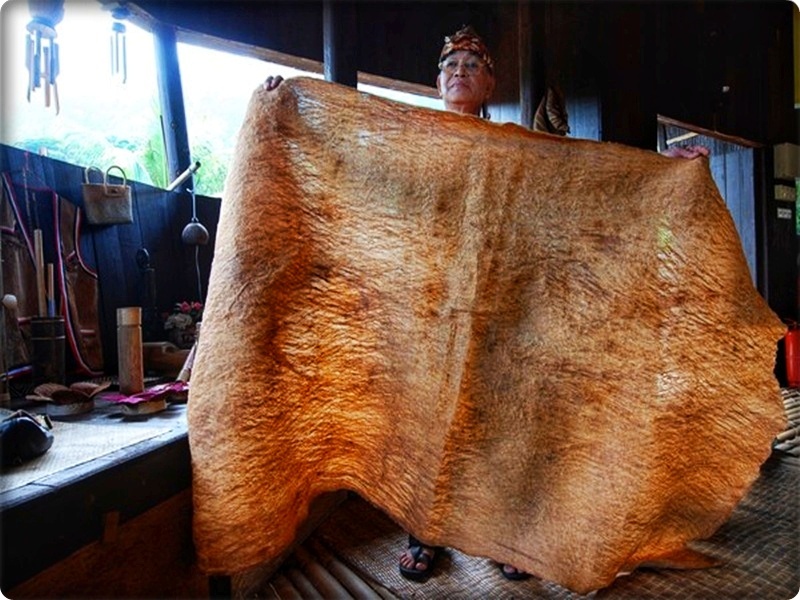 The man's clothing is made from the Artocarpus tamaran tree. It is an evergreen tree that mainly found in tropical forest in Southeast Asia, specifically in Malaysia and Indonesia. First, the bark need to be peeled, away from its tree trunk. Then, the bark needs to be boiled until it becomes softer. After that, it will be soak in the water for at least three days. After three days, it would be wash again to eliminate the rubber from the bark's surface. It will be pounded using a hard stick to stretch the bark so it becomes thinner. Do not forget to put some water when pounding the bark. It helps to prevent the bark from ripping. After these processes, the bark would be hanged to dry. 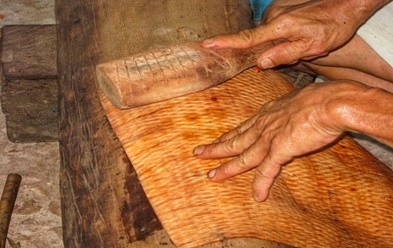 Lastly, the bark would be folded and flattened using a special tool to straighten the bark. Making a tree bark cloth is never easy as it requires skills and techniques. 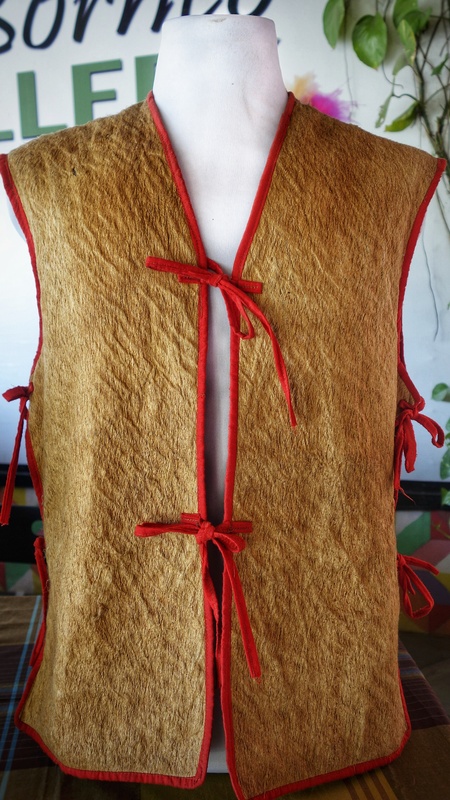 Indeed, finding a tree bark vest can be easy! !